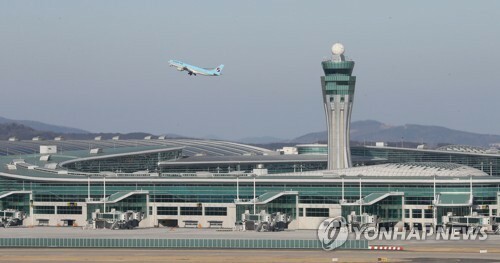 Incheon International Airport’s second terminal officially opened on January 18. With the very first flight to arrive from Manila to Incheon at 4:20 in the morning, the airport’s Terminal 2 has launched its operation. The first flight to depart from the newly opened terminal was Korea Air’s KE621 to Manila, which departed at 7:55 AM. On the first day, the terminal will be visited by approximately 50,000 travelers who are to use 235 scheduled flights. Invested with 4,900,000,000,000 KRW, Incheon International Airport Terminal 2 is independently operated, where the whole process from security checks and boarding are operated separately from the original terminal. Asiana Airline flights, LCC, and other foreign airlines’ flights use Terminal 1, whereas Korean Air, Delta, Air France, and KLM use the new terminal. The airport’s Terminal 2 is distinguished by the increased convenience. Using the Self Service Zone located at the center of the terminal, travelers can check-in and drop their bags by themselves easily. In addition, the baggage processing time has increased 1.5 times from 600 per hour to 900 per hour. Those with disabilities or elderly people can use special lounges and immigration desks. Advanced security check machines will make the cumbersome security checks faster and easier. 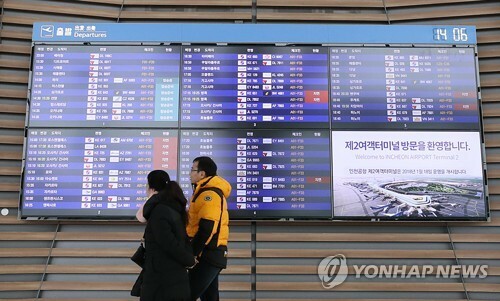 Travelers using Incheon International Airport, however, will have to pay a special attention to which terminal to use. Especially, co-operated flights can lead to confusion. Passengers have to find the terminal based on the actual operator, regardless of the airline one used to book the ticket. One can easily find the information on the E-ticket, which is issued upon booking.